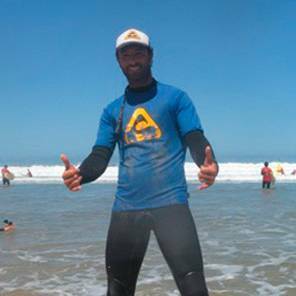 Sagres in the Algarve in Portugal is a great place to surf, and you can learn to surf here with us in our surfcamp in Sagres. Whether you just want to catch your first waves or want to learn to surf seriously, this is your place. 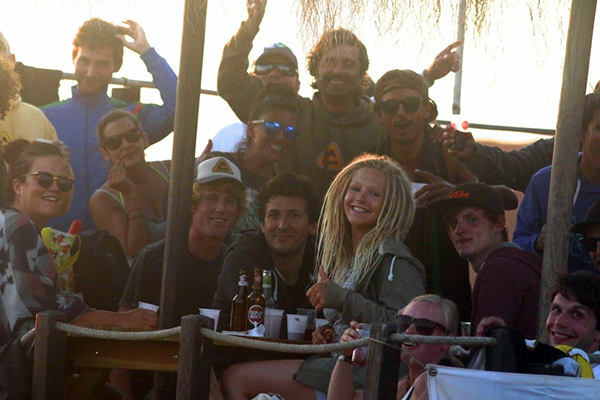 Do you want to know how to enjoy a day at the surfcamp? Live an authentic surf experience. 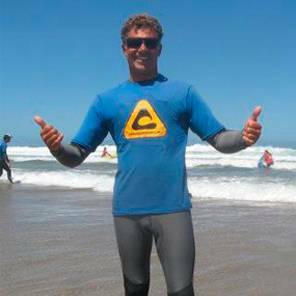 You will enjoy the surf vibrations permanently, your surf coaches & team will follow your individual surf progress and will give you feedback whenever you need it. 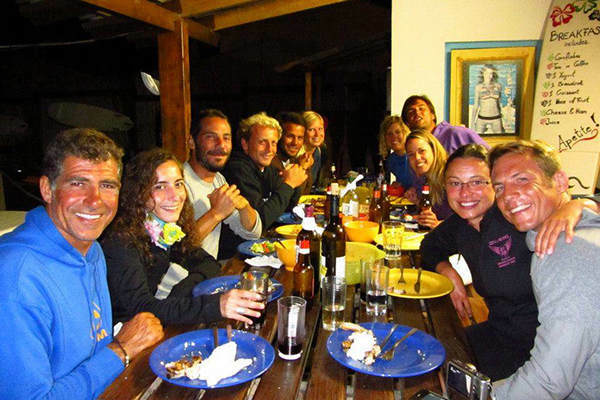 7 days surf lessons + equipment + accommodation in our surfcamp + breakfast + all transportations to and back from surfing beaches and one barbecue night every week. We offer accommodation in our two Sagres surfcamp . You can choose between dorm, or private individual, double or triple accommodation rooms. "Great surf great fun great food, in short, the best vacation of my life. I came alone and stressed out but I left with many friends and with the sensation that somebody had pushed my RESET button, I will come back for more good vibrations whenever I can... hang loose!" "I was blown away by this very special part of Portugal. Coming from Australia I thought I knew the best beaches in the world, but this part of the world offers incredible surf breaks, stunning natural beauty combined with delicious fresh local food made this an unmissable experience"
This surfcamp is a former fisherman house with typical portuguese façade with blue ceramic tiles which could tell some of stories if only it could speak. Next to Mareta beach with an incredible garden. There are four rooms, two rooms for four, and two double rooms. This surfcamp is newly built, it is conveniently located 5 minutes walk from Sagres nightbars, 2 minutes from the port, has 5 rooms and different chillout areas. There is one suite with private bathroom for two, one room for three with a private shower, two double rooms and one single room. The day starts around 9 a.m with a wholesome breakfast that will leave you full of energy for you surfing day. After breakfast, around 10.30 a.m we will drive you in our vans to the surfing beach in no more than 20 minutes. Our usual surfing beach is Amado. Once in your surfing beach, we will give you your board and wetsuit for the day. 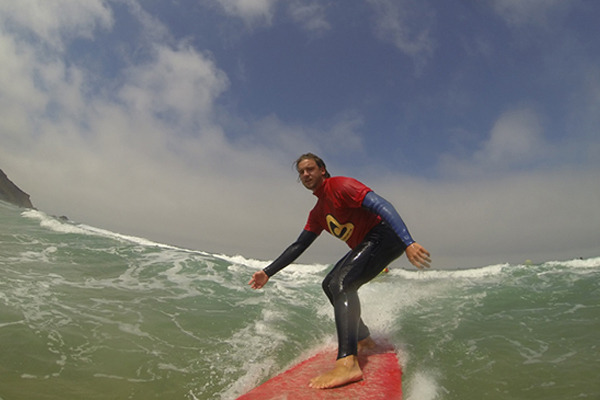 We will assign you to a group of similar surfing level: Beginner, intermediate or advanced. Your instructor knows how to make you progress as fast as possible to the next level. After the morning surfing session, you'll have a one hour break so you can rest and drink and eat a little bit be it a picnic you brought or you can get it from the bars, and then the afternoon session. 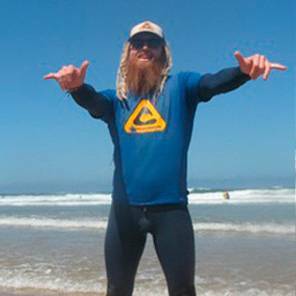 In all you will have three hours of surfing lessons per day. After the surf, we stay a little longer on the beach or on a bar terrace having a drink while looking at the waves, it is so nice to just chill out after the surf. At around 5.30 or 6 pm we will drive you back to your surfcamp in Sagres. 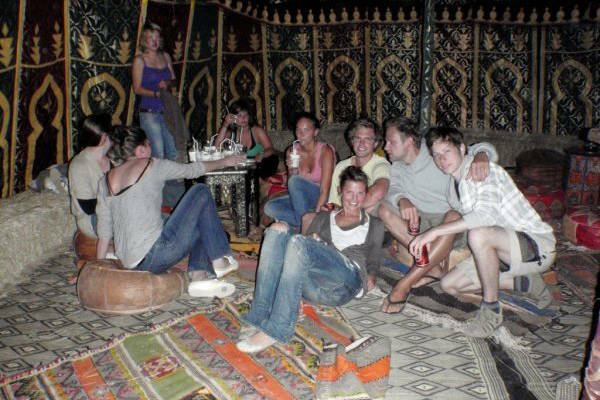 Your evening dining options: Prepare your own food in a fully equipped kitchen, have dinner in a Sagres restaurant, once a week we have a barbecue night in one of our surfcamps, then we go to hit the night bars. Sagres has a cool nightlife scene, a group of about 5 bars are next to each other within walking distance from both our surfcamps. People come from all over the county. Some days there is a band with live music. From Faro airport: 120€/group of max 3 pax, more passengers or night time (midnight to 7am) please ask us for a quote. Hi this is Juan Castro what can I do 4U?